Ok ladies, today I'm excited to bring you a giveaway that is a chance to spoil the man in your life. When you think of guy’s slippers, the image of the plain pair that your grandfather scuffs around in pops into your head, amiright. The kind of pair a guy might love to wear lounging around your place on a lazy Saturday, but couldn’t necessarily pass off as a stylish part of his wardrobe. But what if he could? What if he could keep that comfortable feeling he expects from slippers in something colorful & cool that he could pair up with a favorite outfit & even wear out & about? 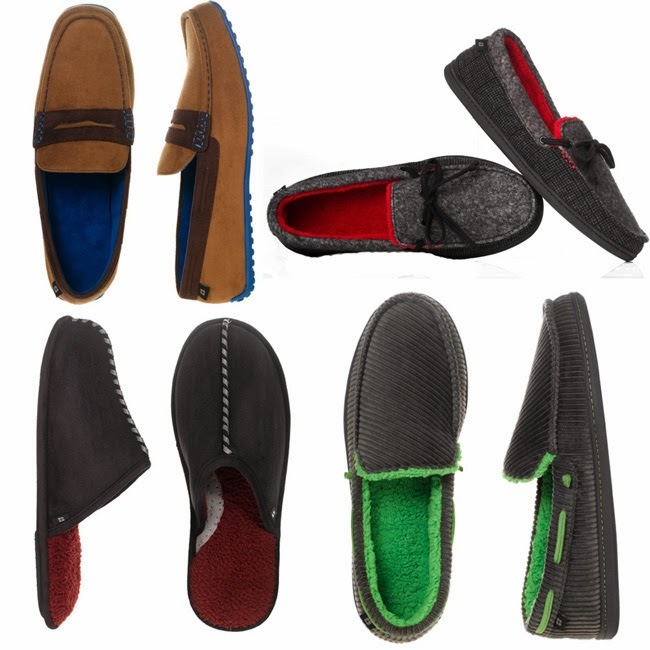 A desire for that blend of style & comfort is what helped bring Dearfoams’ revamped line of men’s slippers to life - a mix of timeless styles, fashion-forward designs, great color combos & soles that are durable enough for wearing anywhere! To have a little fun with this mix of comfort & cool, Dearfoams recently launched the Campus Challenge photo contest. Until October 18th, visit DearfoamsCampusChallenge.com to upload a photo of your man in their favorite pair of slippers (any brand) & an outfit that defines their casual “campus style.” Any eligible guy who enters has a shot at the grand prize of $1,500!